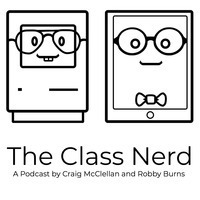 The Class Nerd - 5 Years of iPad: What's the Use? 5 Years of iPad: What's the Use? The iPad Air 2 has allowed me to eschew the physical constraints of a computer that isn't as portable as I'd need it to be. My type of work allows me to do most of my computing on an iPad, and, while I realize that it's not for everyone, the iPad is the computer for me, and I expect the apps and workflows that are still Mac-only to fade over time and transform into new iOS experiences, just as they've done over the last three years. The software innovation that is taking place on iOS and the App Store is unparalleled, and I have personally witnessed how iOS has evolved and changed my work routine since 2012. I honestly love my iPad. I have the same iPad Air 2 model, but have owned several other previous generations of the device as well. It has turned into something that I could use to get some work done in a pinch into my preferred device. I love the form factor of the iPad, and I find that having a whole screen devoted to my work helps me stay focused where a Mac can have dozens of apps and notifications all around you. Yes, there are ways to deactivate that, but the iPad is simply easier. I also feel that app development for iOS is moving at a much more rapid pace than for Mac or PC. It is a platform that is continually changing with new features at an OS level, and developers are using those new features to create some amazing tools that are a joy to use. What I like about what Federico said though is that he acknowledges that the iPad cannot replace a full computer for everyone. 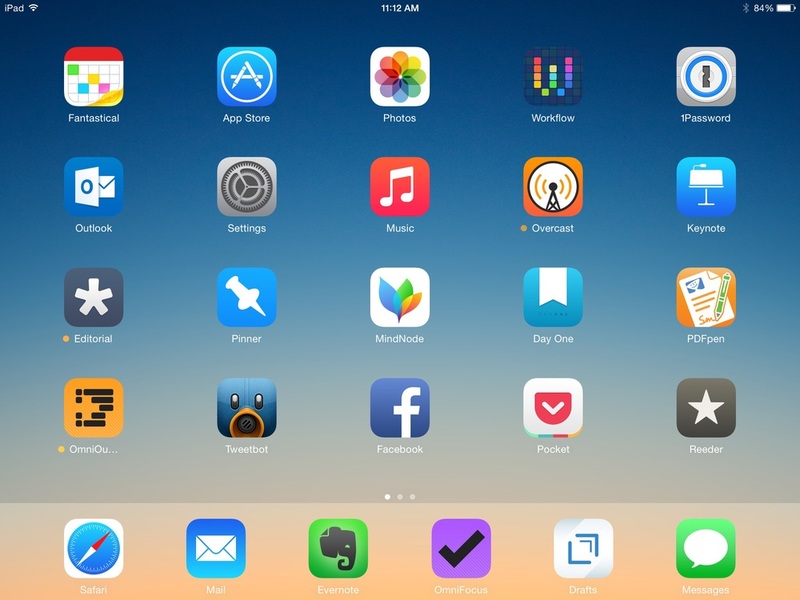 Being a tech blogger who lives his life on the go makes his use of the iPad special. As I thought about what he said, I began to wonder what things I chose to do regularly on my iPad, and what I chose to do on my Mac, particularly for work and grad school. This post is a culmination of that thinking process. The public school system (or at least mine) is not the most Apple friendly place. Dell laptops are still standard issue and school IT guys look down on you for having a Mac (really? It's 2015). So in this world filled with outdated Microsoft technology [^1], what am I actually able to accomplish on my iPad, and what has to be moved onto a Mac? I've been pleasantly surprised at how much work I am actually able to get done on my iPad. With the plethora of amazing apps available out there, I have an amazing set of tools that let me do a large amount of work, sometimes even better than on my Mac. First, I will share where the iPad shines. I have two primary methods of communicating with parents, email and a class blog. My school district uses Microsoft Exchange for our email (and are slowly migrating everyone to Office 365). Just a few weeks ago, Microsoft released a great version of Outlook for iOS. While it does have some drawbacks (like not being able to search all district email addresses), it's actually a really great email client that I enjoy using. For the class blog/newsletter, I receive the weekly 2nd grade newsletter from another teacher as a publisher file. This is the one place the iPad falters. I have yet to find a great publisher to pdf converter on iOS. I upload the publisher file to the website Publisher to PDF on my Mac. About 30 minutes later, I receive an email with the pdf in it. I can then actually view the contents of the newsletter and write it as a blog post in Byword using markdown. I then copy the markdown and paste it into Squarespace's blog app. This is a fast and convenient way for me to get information to parents. Another area of work where the iPad does a great job is lesson planning which is actually one of my favorite places to use my iPad. My team plans lessons together once a week, and as a new teacher, I pretty much just steal their best ideas. It's nice to have my iPad in those meetings instead of a laptop because there is often little space will all of the papers and ideas out on the table. I actually write my lesson plans out in OmniOutliner. I could just make spreadsheet in Numbers or Excel, but I think the OmniGroup has some really great tools for making the outlines easy to read and attractive. It is more fun to use for me than a standard spreadsheet app, and that's important to me. Anything that makes me want to write out detailed lesson plans instead of dread it is a great tool. There' s also of course, the mighty Pinterest. For some reason on school wifi, my laptop is not allowed to access Pinterest, but the iOS app can. This makes my iPad particularly adept at finding great ideas for lessons where my laptop fails. This is of course strange district wifi restrictions and not any fault of my Mac. Never-the-less, it's nice to have my iPad available for this need. I'm still working on getting my team to use a more paperless approach to planning (ex: sharing PDFs of activities in meetings instead of printed documents). It is my hope that starting next school year, we will be able to use a tool like Slack to plan and share throughout the week and keep as much digital as possible. For now though, I do a lot of scanning activities into Evernote to keep them for future years. Another big iPad use for me is during Guided Reading. I keep my iPad open to Drafts where I can quickly take notes on what my students struggled with and did well which helps me direct future GR lessons. After each group finishes, I can use Drafts to split each note individually by student and append those notes to each student's file in Evernote. It's fast, easy, and I don't have to read my chicken scratch handwriting in a notebook. There are definitely some places at school where the iPad falls short. The biggest of these is printing. As much as I hate dealing with paper, in education (especially elementary), there is often no way around it. School printers use such complicated network setups that my Mac (which I bring from home) can barely access them (and some of the bigger copiers/printers in the building don't even work with my Mac according to our IT guy), so the chance of them working with AirPrint on my iPad is next to none. There are also certain district-wide online services that do not work very well on iPad. Microsoft Sharepoint is a good example of this. I could be wrong, and there could be a great app to access Sharepoint, but on the rare occasion that I actually want to access it, I'm fine with getting out my Mac. Another place where I struggle to use the iPad is sharing content with students while teaching. I have an Apple TV in my classroom, and will often project apps such as Number Pieces onto the board. While this does work, I've found that AirPlay can be extremely laggy on school wifi. Even Keynote animations tend to freak out. It's much easier to display content with lots of movement (such as video) from my Mac connected directly to the projector. I could purchase a Lighting to VGA connector and use my iPad directly, but if my iPad is going to be tethered to something, I would rather just use the Mac. Finally, file management on iOS (though greatly improved with iOS 8) still leaves a lot to be desired. Because I scan a lot of material for paperless filing, I often need robust file management. On my Mac, I can scan documents to certain folders and use Hazel to automatically name, tag, and organize files so they are easily accessible later. Or in Evernote, I can select multiple notes and tag/sort them at once. On iOS, I can only do all of this one file at a time which is incredibly tedious. I'm hoping that as I learn automation apps like Workflow, this will become more of a non-issue. My tasks in Grad School are significantly different from teaching, yet I can still find ways to use my iPad for the majority of tasks, possibly even more so than at work. Having only done grad school in Lipscomb's M. Ed program, I don't know if this is true for all schools/degrees, but I have found that unlike in my undergrad, grad school is far more about reading, research, and papers than tests and test prep. In fact, I have yet to take a single exam in 3 semesters. What I do regularly though is take notes in class, organize research, and write papers. The iPad is actually great for all of this. For note taking, I again use OmniOutliner. For research, I use a combination of Evernote, Pinner for Pinboard, and RefMe (the best way to manage citations). I take notes from books in Evernote, and clip webpage content there as well using the app's extension. If a website is one I will want to read again in the future beyond just for a particular assignment, I will also save it to Pinboard. For writing, the iPad is quite capable. However, I think 2015 is the year that it becomes a true powerhouse of academic writing. Both Ulysses and Scrivener are set to come out with iPad apps this year. Having a writing tool that can work with Markdown and manage very large writing projects will be fantastic. For now, I generally begin large writing projects in Byword, then finish them on the Mac. I'm interested in learning to better use Editorial as well because I think it has some amazing tools to speed up writing on the iPad, but it doesn't work with iOS 8's share sheet (at least from what I can tell), and can only store files in Dropbox. If it were able to utilize iOS 8's document picker, I might be set. After the initial writing is done, I generally convert markdown to Rich Text, and paste it into Pages for proper formatting. I then will convert the Pages document to a Word file, and upload the final paper to Blackboard. Only the upload portion of this process is not possible on the iPad. Actually, the only place where the iPad truly struggles for my grad school uses is Blackboard. Most schools now use Blackboard, and you would think a service with such wide adoption would have a better iOS app. You would be wrong. The app is fine for checking assignment due dates, but it lacks functionality that would make it truly useful. For example, I write all of my discussion posts for blackboard in Byword using markdown, then I convert the markdown to HTML and use the HTML editor in blackboard to paste in my post. This insures my formatting stays correct while still allowing me to write on a local files instead of a web browser. I have been burned too many times by a website crashing a losing my work before I can post it. There is no HTML editor in the Blackboard app, and the website often struggles in Safari on iOS. Fixing one of these issues would be huge for me. Overall, the iPad is a fantastic tool for educators. Unlike Federico though, it could not become my only device. Still, one can accomplish a great deal using a device that starts at $250. I actually wrote this entire blog post in Byword on my iPad. And while it could have been easier to manage such a large document on a Mac, this was actually still quite a nice writing experience. I love working on this device, and I'm excited to see where the next 5 years take it. [^1]: Not all Microsoft technology is outdated. They're finally up to some really cool stuff. But 7 year old Windows laptops are outdated.